According to the data crunching conducted by Kevin and the guys at JeeQ Data, the Verizon branded 16GB Apple iPhone 6 in Space Gray, was the phone most purchased with a plan from Best Buy during the third quarter. The 16GB iPhone 6 in Space Gray from Sprint was second, while number three was the 64GB iPhone 6 in Space Gray from Verizon. That's not to say that Samsung wasn't well represented on the list. The Samsung Galaxy S6 in various colors, and from different carriers, ranked number 4,6,7,9 and 12. The 32GB Samsung Galaxy Note5 was number 10,13,14 and 19, while the 64GB Apple iPhone 6 was numbers 3,16 and 20. Interestingly, the previous generation Samsung models were sprinkled throughout the top 20. The Samsung Galaxy S5 in charcoal, branded with the Sprint name, finished 11th. Also from Sprint, the Samsung Galaxy Note 4 in Charcoal Black placed 17th. For the three months ended in September, Apple sold 53% of the handsets offered with a plan at Best Buy, while Samsung had 47% of the business. Apple's sales picked up sequentially in each of the three months, peaking in September. That is the same month when Apple unveiled and launched, its new Apple iPhone 6s and Apple iPhone 6s Plus. Samsung's sales were completely opposite, peaking in the first month of the quarter, and dropping on a sequential basis. 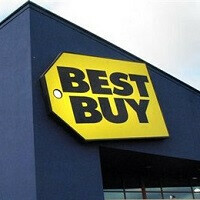 Of the smartphones purchased with a plan from Best Buy during Q3, Verizon branded handsets accounted for 59% of the total. Sprint had 36% of such sales with AT&T accounted for the remaining 5%. And 32GB was the preferred internal memory size, just beating out 16GB by a 43% to 40% count. You can check out the graphs related to the data, by clicking on the slideshow below! You know how we do yo. ....and this is why Apple keeps selling the 16GB versions. Sad, but true. We all know they have it because Sprint and Verizon customers HATE spending more money than they have to. I will admit, black is the best color they have. Let me guess Alan F. Article??? If you want read a real review of the iPhone 6s please go to gsmarena. Just waiting for MKBHD and the big one, anandtech. wow so att isnt selling hardly anything? I know alot of people who bought the 16gb model and they now heavily regret it. I even warned them before they bought it. 6 months later their 16gb is full (Music and pics) and my 64gb still has 19gb left. Hind sight is 20/20. Too bad they are locked into a 2 year plan...lmfao. I expect the iPhone 7 will have 32gb,96 and 256. Anyone only needing 16gb obviously barely uses their phone and doesn't need an $800 phone. This story is so misleading! I work for Best Buy Mobile and the only reason people bought space gray Iphone 6s with 16gb is because that's the only Iphone 6 capacity that we had!!! Every year right before Apple gets ready to launch a new phone, the stores only get in the 16gb capacity in space gray because black is the last color people want for a phone and Apple wants to get rid of them in time for the launch!!! Trust me, if we had 64 gb gold or silver, they'd be sold just as much, if not more!!! No one in their right mind should buy any smartphone with only 16 gbs of internal memory only because it's not enough anymore-the operating system and even the apps are getting larger! You're paying over $700 for something, at least get something worth it! Saying 16 gb Iphones in space gray were the best sellers is like saying you made one million dollars last year but you spent $999,999!!! The number sounds good until you realize what actually happened!